Chicago heavy metal stalwarts returned this year with their seventh album, Evolution, and they're taking it across the country. Immortalized was the group's first record following their five year hiatus, during which they pursued various projects, and it saw them sounding revitalised, bringing fresh energy to their brand of hooky, stadium ready choruses and unforgiving riffs. The album features the bands 12th number one single, which has remained at the top of the charts for four consecutive weeks. A true sign that the band is showing no sign of slowing down. The band are approaching the live experience in a new way as well. 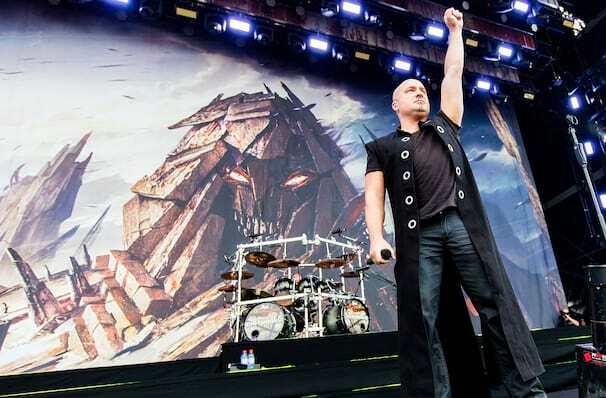 Front man David Draiman characterised these dates as back to basics gigs: "We know the arena shows will come, but we wanted to start out feeling like it did in the old days. Intimate, hot, and intense. We can't wait. Prepare yourselves." About Minneapolis Theater: We are an independent show guide not a venue or show. We sell primary, discount and resale tickets and prices may be above or below face value. Sound good to you? Share this page on social media and let your friends know about Disturbed at Verizon Wireless Center. I want email news and updates for events in my area! Read how we protect your data. From swashbuckling to comic, from romantic to heartbreaking. Please note: The term Verizon Wireless Center and/or Disturbed as well as all associated graphics, logos, and/or other trademarks, tradenames or copyrights are the property of the Verizon Wireless Center and/or Disturbed and are used herein for factual descriptive purposes only. 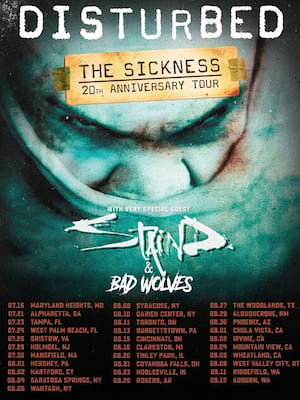 We are in no way associated with or authorized by the Verizon Wireless Center and/or Disturbed and neither that entity nor any of its affiliates have licensed or endorsed us to sell tickets, goods and or services in conjunction with their events. Minneapolis Theater is part of the Theatreland Ltd Collection. Established in 2003, Theatreland offers the largest individual collection of websites providing complete, impartial guides to all the theatrical, musical and performance arts events and venues in the world's greatest theatre cities, from New York's Broadway to London's West End and from the showrooms of Las Vegas to Shakespeare's Globe Theatre.